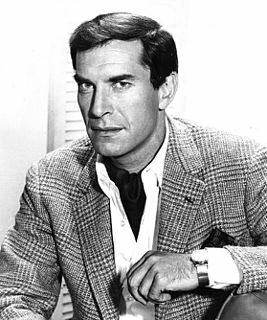 Martin James Landau was an American actor, acting coach, producer, and editorial cartoonist. His career began in the 1950s, with early film appearances including a supporting role in Alfred Hitchcock's North by Northwest (1959). He played regular roles in the television series Mission: Impossible and Space: 1999. Brock Peters or Brock G. Peters was an American actor, best known for playing the role of Tom Robinson in the 1962 film To Kill a Mockingbird and for his role as the villainous "Crown" in the 1959 film version of Porgy and Bess. 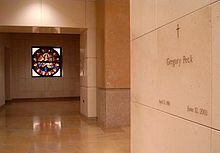 In later years, he gained recognition among Star Trek fans for his portrayals of Fleet Admiral Cartwright in two of the Star Trek feature films and Joseph Sisko, father of Benjamin Sisko, in Star Trek: Deep Space Nine. He was also notable for his role as Hatcher in Soylent Green. Claude Jarman Jr. is an American former child actor. William Windom was an American actor. He played a wide variety of roles in both film and television during a near 60 year career, but is perhaps best known for his roles in two sitcoms: as Glen Morley, a fictional congressman from Minnesota in The Farmer's Daughter (1963–1966), and his Emmy Award winning role as cartoonist John Monroe in the short-lived comedy My World and Welcome to It (1969–1970). Mary Badham is an American actress who portrayed Jean Louise "Scout" Finch in To Kill a Mockingbird (1962), for which she was nominated for an Academy Award for Best Supporting Actress. At the time, Badham was the youngest actress ever nominated in this category. Behold a Pale Horse is a 1964 film directed by Fred Zinnemann and starring Gregory Peck, Omar Sharif and Anthony Quinn. The film is based on the novel Killing a Mouse on Sunday by Emeric Pressburger, which loosely details the life of the Spanish anarchist guerrilla Francesc Sabaté Llopart. Bashar Mounzer Rahal is a Bulgarian actor of Lebanese descent, known for his role in the TV show It Can't Be equivalent of Saturday Night Live. Most recently he can be seen alongside John Cusack, Hilary Duff and Academy Award Winners Ben Kingsley, Marisa Tomei and Joan Cusack in the movie War, Inc..
Atticus Finch is a fictional character in Harper Lee's Pulitzer Prize-winning novel of 1960, To Kill a Mockingbird. A preliminary version of the character also appears in the novel Go Set a Watchman, written in the mid 1950s but not published until 2015. Atticus is a lawyer and resident of the fictional Maycomb County, Alabama, and the father of Jeremy "Jem" Finch and Jean Louise "Scout" Finch. Lee based the character on her own father, Amasa Coleman Lee, an Alabama lawyer, who, like Atticus, represented black defendants in a highly publicized criminal trial. Book Magazine's list of The 100 Best Characters in Fiction Since 1900 names Finch as the seventh best fictional character of 20th-century literature. In 2003 the American Film Institute voted Atticus Finch, as portrayed in an Academy Award-winning performance by Gregory Peck in the 1962 film adaptation, as the greatest hero of all American cinema. In the 2018 Broadway stage play adapted by Aaron Sorkin, Finch is portrayed by Jeff Daniels. Ethan Gregory Peck is an American actor. 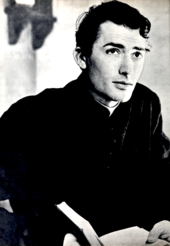 Peck is the grandson of actor Gregory Peck, and his first wife, Finnish-born Greta Kukkonen. Only the Valiant, also known as Fort Invincible, is a 1951 Western film produced by William Cagney, directed by Gordon Douglas and starring Gregory Peck, Barbara Payton, and Ward Bond. The screenplay was written by Edmund H. North and Harry Brown, based on the 1943 novel of the same name by Charles Marquis Warren. Atticus Ronald Shaffer is an American actor known for playing Brick Heck on the ABC sitcom The Middle (2009–2018), as well as for voicing Edgar in the film Frankenweenie (2012) and Ono on the Disney Junior series The Lion Guard, and for his brief appearance in Hancock (2008).